It is a great addition to my husband’s outdoor bar! My husband was amazed with his birthday gift. 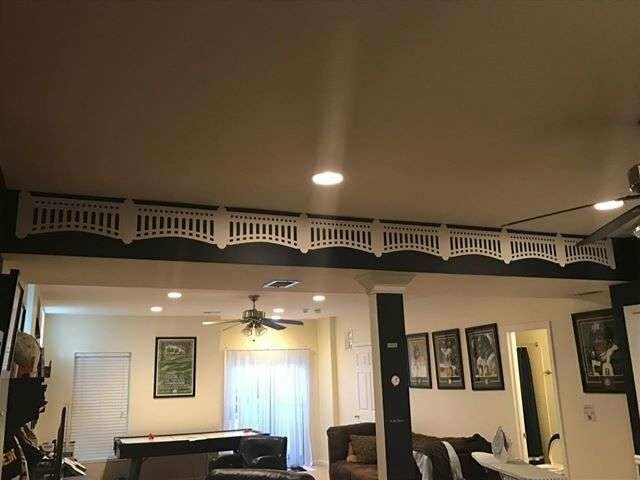 The craftsmanship is beautiful and they’ll make a great start point for his man cave! Looks awesome and was a great gift!! 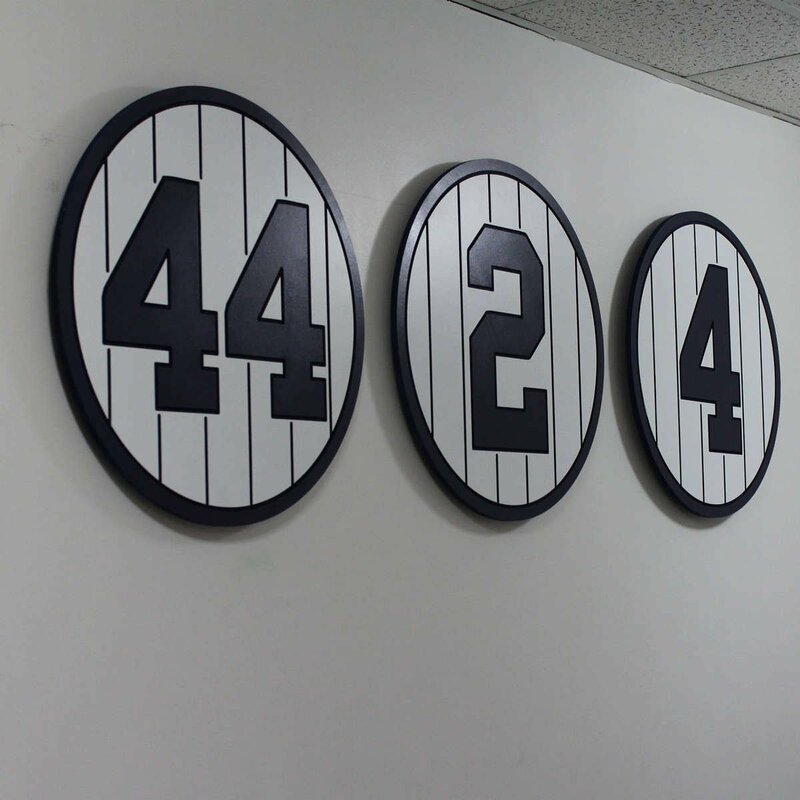 Complete your New York fan cave with our retired player number signs. Built to look just like you see at the game! Made by NY fans for NY fans! Size Options: 7", 12" and 24"
Lighting: LED Light Kits are available. Please send us a message and we'll set you up with a custom listing. LED Light kits add an additional $25 to this sign. Save on the ENTIRE SET of 23 Numbers! LED Light Kits are available. Please send us a message and we'll set you up with a custom listing. LED Light kits add an additional $25 to this sign. 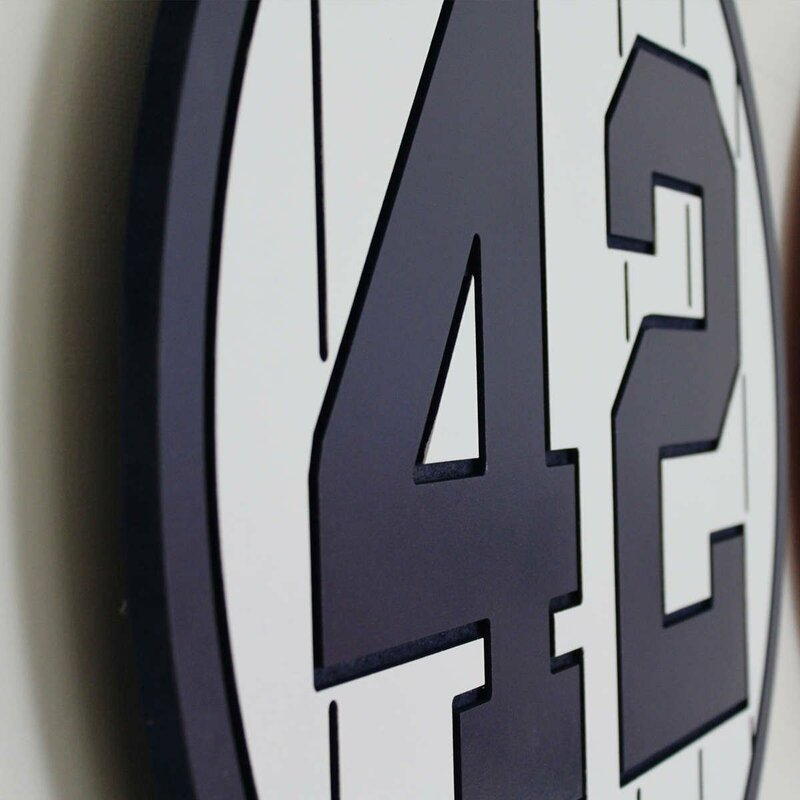 View our Hands on Video of a 12" #2 Retired Number Sign Below! 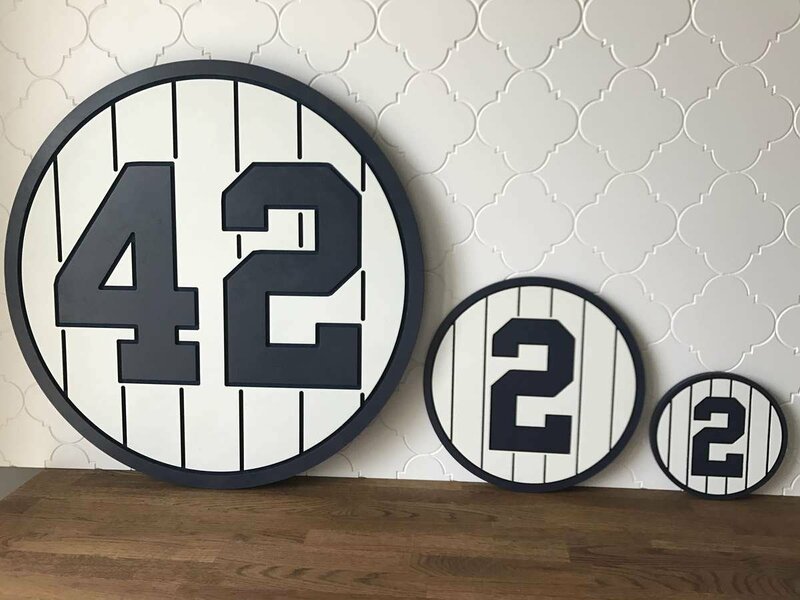 At AddictedFurnishings, we use only professional sign making materials, including the industry leading sign board Celtec for our Retired NYY Numbers. Matched with our commercial grade CNC systems, we're able to create amazing products for an affordable price. We have all of your favorite retired players. 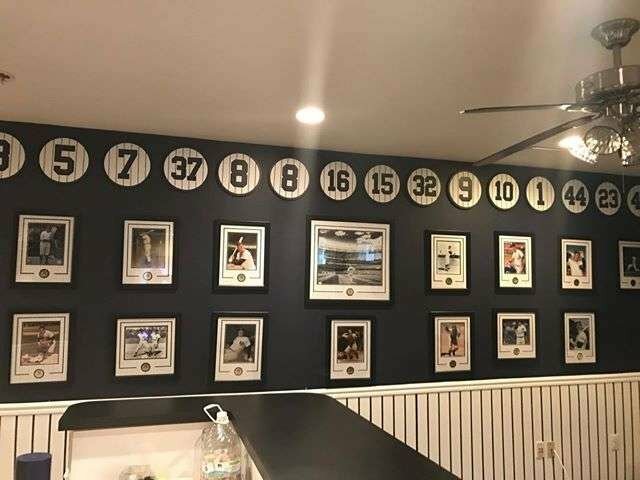 From the oldest players to the most recently retired, we can set your NYY fan cave apart from the rest! 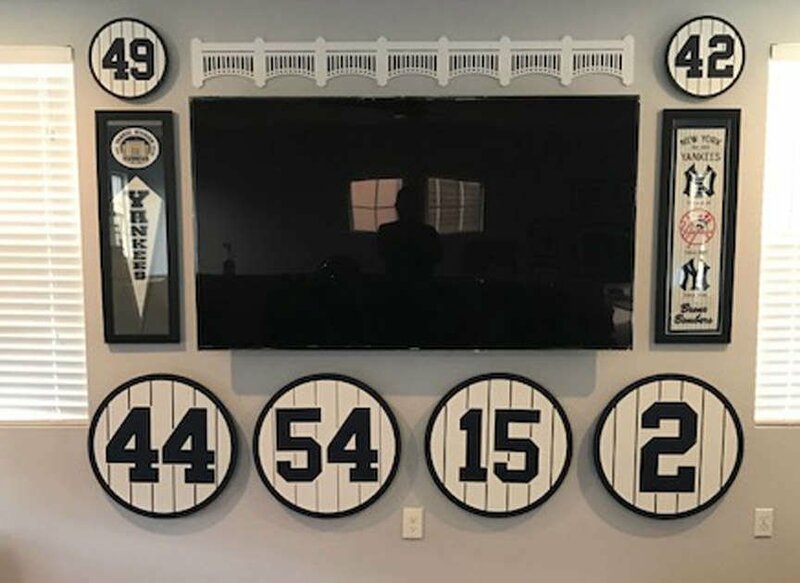 BONUS BUY: ORDER ALL NYY RETIRED NUMBER PLAQUES! 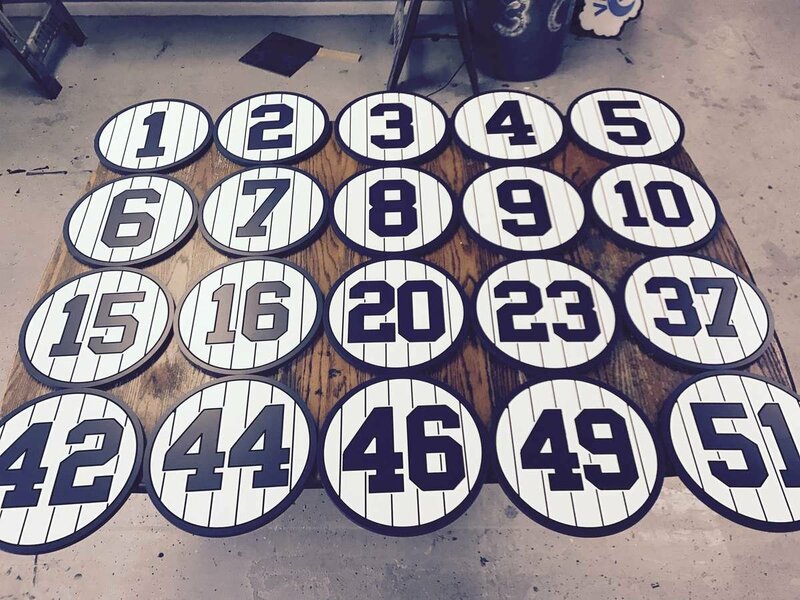 Get all 23 number plaques for just $749 plus shipping!